SEAMEO RETRAC organized a training workshop on the “Using ICT in teaching English to Kindergarten and Kid students”, on Oct 29, 2016, at the Center’s premise. The workshop was moderated by Ms Maria Victoria Pineda, ICT Specialist, SEAMEO RETRAC. The training attracted the participation of more than 30 teachers and teacher assistants at the Center. 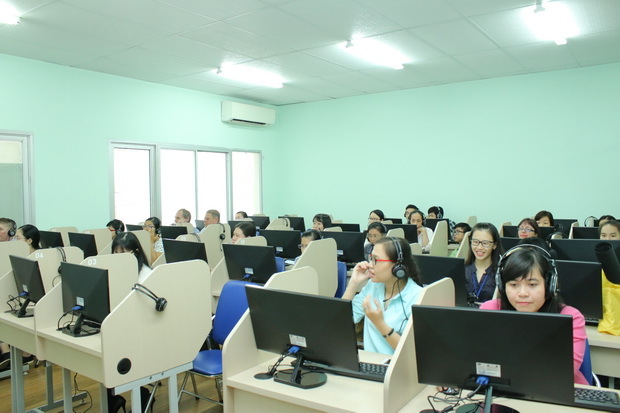 The aim of the training was to provide teachers with effective ICT tools in teaching English to both Kindergarten and Kid programs at SEAMEO RETRAC.